But will it rival Blu-ray? Toshiba's super upscaler v Blu-ray - who will win? Details are sketchy but according to Japanese media reports, Toshiba is set to release a super DVD upscaling player that will play normal DVDs at nearly Blu-ray and HD DVD standard. No technical information has been released but earlier this year the company, in association with Sharp, had developed a new system that allows increased DVD resolution to 960p. Current DVD upscalers use a process that mathematically matches the pixel count of the output of the DVD signal to the physical pixel count, which is usually 1280x720 (720p) or 1920x1080p. 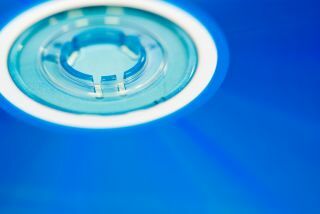 This new technology is said to be backwards compatible with DVDs – a good thing considering the market the players will be going for. At the moment, most Blu-ray players released are backwards-compatible and have upscaling technology within, so the only way this machine will stall Blu-ray sales is if its price is significantly less than BD players on the market. Steve May, Senior Editor of Home Cinema Choice magazine said about the news: “It’s no surprise that Toshiba has announced this. When it lost the HD war, the company said that it wasn’t going to focus of Blu-ray production, instead look at upscaling DVD players. "The market for these players far outweighs BD players at the moment and the technology is there to improve on the look of DVDs. We have contacted Toshiba in the UK, but they haven’t got any information at this time.